You are off on a long walk... a hike in the woods... it seems like you have been walking for hours... your legs are aching and dragging... but surprisingly, your heart is racing on and beating faster than ever. Hmm... Strange, isn't it? The heart is also made of muscles. The heart has been beating since you were born, and will keep on beating till the end. It beats roughly once per second normally and can beat up to an astonishing 3 times a second when you are stressed! When other muscles of your body tire out regularly and complain on overuse, why doesn't the heart ever do so? Let"s first understand how muscles work. Muscles convert energy into motion (or force) - they use energy from the food that we eat and help move various body parts. The only movement a muscle is capable of is contraction. Because of the ways in which the muscles are attached to our bones and body parts, they make the levers, pulleys and other mechanical contraptions that use this basic contraction motion to achieve the amazingly complex activities that we can do. The mind boggles thinking of this. Muscles are fibres made of muscle cells - the building blocks of our body. Each cell is capable of converting energy into motion through a complex chain of chemical reactions. The energy they use is in the form of a chemical called ATP (Adenosine Tri Phosphate). When ATP is broken down with a chemical reaction with water to simpler forms, it releases energy. That is what the cells use to do work. 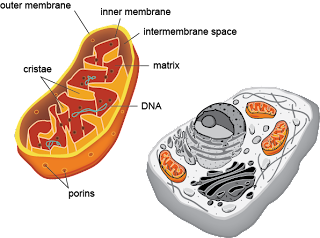 ATP is produced inside the cells in a unit called the mitochondrion. The more mitochondria a cell has, the more energy it can produce and the more work it can do. Aerobic: The food that we eat is converted into a simpler form called glucose in the stomach. Glucose gets absorbed into blood and transported to all cells of our body. ATP is produced using glucose and oxygen right inside the cells where it is consumed. Carbon dioxide is produced as a byproduct which gets transported out by the blood and we breathe it out from our lungs. 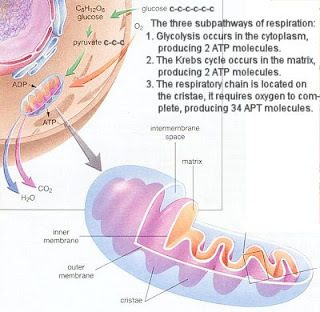 An-aerobic: ATP can also be produced without oxygen. This process of not using oxygen is less efficient. It makes less number of ATP that the aerobic process. It also produces toxic byproducts other than carbon dioxide that can not be removed as fast. They tend to accumulate in the muscles, reduce their efficiency and cause muscle pain and fatigue. The heart muscles have plenty of oxygen available, they being right where our lungs are. We breathe through our lungs, remember? So the heart gets the freshly absorbed oxygen before any other organ gets it! The heart muscles are built specifically to use aerobic energy. They are rich with mitochondria and of the kind that can use oxygen and glucose to produce energy. Since they almost never produce energy without energy, they do not accumulate toxic wastes and do not get fatigued easily! Till it has enough oxygen and glucose available, that is. Then why are not all muscles like heart muscles? Then we would never get tired! Well, our body is optimized for the conditions it encounters most. In most cases, under mild strain, our body has enough oxygen to cleanly burn food for energy. It is only during occasional high demands, when it has to dip into its reserves for extra energy - and burn what ever it can however to meet the demand. Moreover they type of reaction used to create energy determines the speed at which the muscle can operate. Aerobic reactions are cleaner, but they are also slower. They are also limited by the amount of oxygen we can breathe. When our muscles need to operate fast, they must get part of their energy in the anaerobic way to work faster. Most of our skeletal muscles need to have and do have both kinds of muscles - those that can work best with oxygen and those that can without. very informative post Tan! well i wish i had your posts while i was schooling ? :) anyways I will bookmark the site for my kids in future :) nice post !Just when u mentioned i recalled .. while the leg muscles tend to give up the heart beat contrarily goes faster ... ! really very informative..liked ur blog..
took me right back to science classes - very nicely explained! Thanks KayEm. You made my day! I'm so glad you found this article useful. Physical exercise is important for maintaining physical fitness and can contribute positively to maintaining a healthy weight, building and maintaining healthy bone density, muscle strength, and joint mobility, promoting physiological well being, reducing surgical risks, and strengthening the immune system. Thanks.